On April 20th, 1999, two high school teenagers in Littleton, Colorado did something that irreversibly changed the way parents think when they send their kids off to school each morning. And they gave the name of their school a new, tragic symbolic meaning, one that it never wanted. The killers were both seniors at the school. They were scheduled to graduate in just a few months. Here’s what happened. They wore trench coats that morning, and they carried a small arsenal of weapons in their cars. At 11:10 a.m., they walked into the school cafeteria with two duffel bags. Each bag contained a 20-pound propane bomb that was set on a timer to explode at 11:17 a.m. They boys then went back outside to their cars to watch for the explosions. Nothing happened. The bombs did not explode as they had planned. That was when they went to plan B. They went back into the school, only this time with guns. They carried submachine pistols, a carbine, a sawed-off, double-barreled shotgun, 99 home-made explosives and four knives. One of the killers’ girlfriend was 18-year-old Columbine student. She had bought the guns for the boys at a Gun Show. At roughly 11:19 a.m., the boys began shooting fellow students outside of the school. The two quickly moved inside the school, where they gunned down many of their victims in the school’s library. By about 11:35 a.m., the killers had already killed 12 students and a teacher. They had wounded more than 20 other people. The event ended almost as quickly as it began in roughly 15 minutes. Just after 12 Noon, the two teens turned their guns on themselves. These killings changed the way Americans look at school safety and sparked a level of debate over school safety and gun control that continues to this day. Several investigations found that the Columbine killers chose their victims at random. Classes at Columbine High School did not resume for the rest of that academic year, but the school did reopen in the Fall of 1999 and is still open today. Some have said that the killers in these situations should not get the attention they seem to crave, and that more of the attention should be on the victims. To effectively look back at the Columbine killings, we will have to talk about the killers in this episode, their motives and their actions, but as we do, it is important to remember the 13 innocent victims who were killed and the 20 who were injured. Some have speculated that they considered themselves social outcasts and were fascinated with Goth culture. Much speculation included a range of explanations. They were bullied. They played violent video games. They listened to music that had an influence on them. None of these theories were proven. The “Trench coat Mafia” myth was due to their wearing trench coats, but it turned out they wore the coats only to hide their weapons. The killers left journals and videos that have helped investigators, psychologists and other specialists study these types of killers and work to create preventative measures or response measures for the future. The police and emergency medical services and others arrived on campus within minutes of the attacks, but they couldn’t determine how many killers were involved, where they were, and if there were booby traps. They followed policy, which meant creating a perimeter for the Swat team. This practice would change after Columbine. TV news crews were on the scene almost as quickly, sending live signals to satellites and people across the country and around the world. The media sought a simple narrative and allowed fleeing students who were in a panic to speculated on motive, which became the primary, and mistaken, narrative for the story. 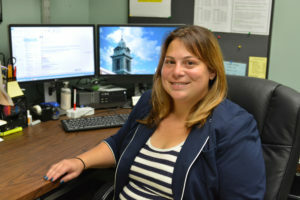 Jaclyn Schildkraut, PhD, is an Associate Professor of Criminal Justice at the State University of New York at Oswego. Over the past decade, Schildkraut also has established herself as a national expert on the topic of mass shootings. She earned her Bachelors in Interdisciplinary Studies (2009) and her Masters in Applied Sociology (2011) from the University of Central Florida in Orlando, FL. She also was awarded her PhD in Criminal Justice (2014) from Texas State University in San Marcos, TX. 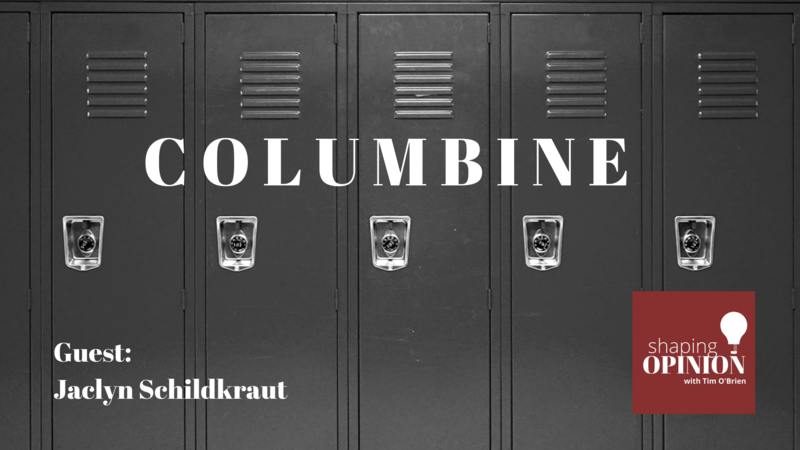 Schildkraut is the co-author of two books, Mass Shootings: Media, Myths, and Realities (2016), which won several awards, and Columbine, 20 Years Later and Beyond: Lessons from Tragedy (2019). She also served as editor for a third book, Mass Shootings in America: Understanding the Debates, Causes, and Responses (2018). Schildkraut’s research also has been published in a number of edited volumes and journals, including Homicide Studies; Crime Prevention and Community Safety; American Journal of Criminal Justice; Journal of Qualitative Criminal Justice & Criminology; Crime, Law and Social Change; Journal of School Violence; Security Journal; and Criminal Justice Studies. In the wake of high-profile school and mass shootings, Schildkraut’s research also has been featured in national and international news outlets including The Wall Street Journal, The Washington Post, Huffington Post, BBC, CBS News, Al Jazeera, Vox, The Telegraph (UK), The National Post (Canada), Buzzfeed News, The Daily Beast, Popular Science, Politifact, ABC Radio (Australia), and iHeart Radio Canada. She continues to actively work with survivors of mass shootings, as well as in the area of school-based emergency preparedness (active shooter) training and programs. 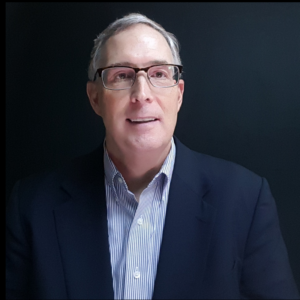 Schildkraut also serves as a research analyst for No Notoriety and Safe and Sound Schools: A Sandy Hook Initiative, and serves on a number of different gun violence task forces, including the Regional Gun Violence Research Consortium led by New York Governor Andrew Cuomo.